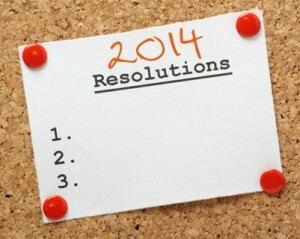 Internet Marketing Resolutions for 2014 - InsideOut Solutions, Inc. The new year is upon us and at this time of year tradition demands that we make our resolutions for the upcoming year. Don’t forget your internet efforts when it comes to your business’ marketing resolutions for 2014. Don’t forget to make your internet marketing resolutions for 2014. Making resolutions for the new year should be treated seriously. Lots of folks chuckle about their New Year’s resolutions, but, indeed, it should be treated as the opportunity it is: a chance to refocus efforts and make improvements, whether personal or professional. but also apply to many small to medium-sized businesses. It’s time to go through your website with a fine-tooth comb. You’ll want to fix all those misspellings, grammar errors, and out-of-date info, of course, but your review needs to go much deeper to be truly effective. a well-defined topic not covered elsewhere? engaging and easily read content? enough content to warrant its own page? enough visual interest (photos, illustrations, color blocks, etc.) to keep readers reading? Have a friend(s) or family member(s) not intimately familiar with your business review the website as well as this will help you get the perspective of a new visitor. If need be, hire a qualified professional to do this for you – it really is that important. √ Is your current website less than 5 year’s old? Websites are the opposite of children: the older websites get the less sophisticated they become. That’s because web standards evolve. Some evolution can take place even on older sites, but if it’s been five years since you last did a full rebuild of your website it’s likely well past time. Is your website stuck in the ’00s? Redesign to stay ahead of the curve and keep visitors (and search engines) happy. √ Is your website’s Content Management System (CMS) up-to-date and portable? If you are using a proprietary CMS, you may be locked into a platform that will become (or already is) a dead end and may be difficult, at best, to move to another host. 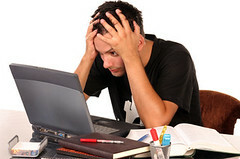 We recommend and develop sites in WordPress because it helps resolve both those issues. √ Is your website optimized for mobile devices? The mobile device web marketplace continues to be the fastest growing sector. If you don’t have a mobile-optimized version of your website you need one yesterday. If you have one, but it is a separate site from your main website, Google recommends moving to a responsive website design. InsideOut Solutions now builds all new websites to be responsive. If you answered “no” to one or more of the above, then your marketing resolutions for 2014 should include a website redesign. Contact us for a quote to redesign your website. The additional search engine visibility resulting from effective blog writing gives small businesses a chance to earn more through making a good impression to new and returning website visitors. One of the topics I addressed in my own blog posts this year is how critical your website’s blog remains to keeping and growing its visibility in search engine query results. Other social media platforms are seen as more glamorous, but none build fresh content for your website, which is the #1 thing you need to continue growing your visibility in organic search (still the #1 way content is found by internet users). If you simply don’t have the time or interest in blogging, it’s essential that you hire a writer who will deliver timely, engaging posts that are optimized for search. We offer a blog writing service for our clients that is designed to put targeted, timely and engaging content into search for users to find. If you don’t have a blog then you are missing one of the most effective tools at gaining visits from search engine users. Contact InsideOut Solutions for a quote to add a WordPress blog to your website. 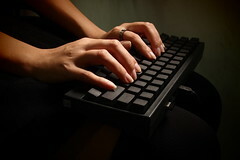 There are tools out there to help you influence the search engine optimization of your website. For WordPress websites we recommend and use the WordPress SEO plugin by Yoast, which we can install and configure on our client websites for a modest fee. We also can help you hit the ground running in 2014 with our SEO Back-On-Track service, which includes installation of the plugin and initial SEO for each of your website’s pages. Contact us for one or both of these SEO services. Google CEO Larry Page and Webspam lead Matt Cutts have made statements that confirm that Google+ authorship and publisher status are “the way forward” for establishing authority over content and that this will be increasingly vital to visibility in search results. This a a relatively easy thing to accomplish on a WordPress website with the WordPress SEO plugin. Once you have Google+ authorship and your Google+ business page set up as publisher, it is important that you post to the page. This can be as simple as posting a link to each blog post you (or your blog writer) publishes. If your website has an ecommerce component, such as reservations, product ordering, etc., then you owe it to yourself to make sure that your Google Analytics is set up to track the sources of your revenue by using cross-domain tracking. If your ecommerce provider does not allow revenue source tracking then it is time to get a new provider. Google has offered ecommerce revenue source tracking for years and the best providers have kept up with these developments. If yours hasn’t, and won’t, it’s time to shop around. I hope you’ll take these five Internet Marketing Resolutions for 2014 to heart. InsideOut Solutions is here to help you meet all your marketing goals. Simply contact us with your requests about these or any other internet marketing and graphic design services to get the ball rolling for a great 2014.